1 Combine oil, lime juice and chili powder in small bowl; brush half on steak and half on vegetables. 2 Grill or broil steak to desired doneness; slice steak. Grill vegetables, turning once, 15 minutes or until vegetables are tender; slice peppers. 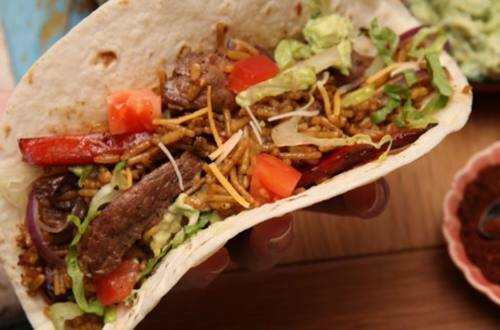 3 Serve sliced steak, vegetables and hot Knorr® Menu Flavors Rice Sides™ - Steak Fajitas flavor in tortillas and, if desired, with your favorite fajita toppings.